First came the warnings, then the deluge. 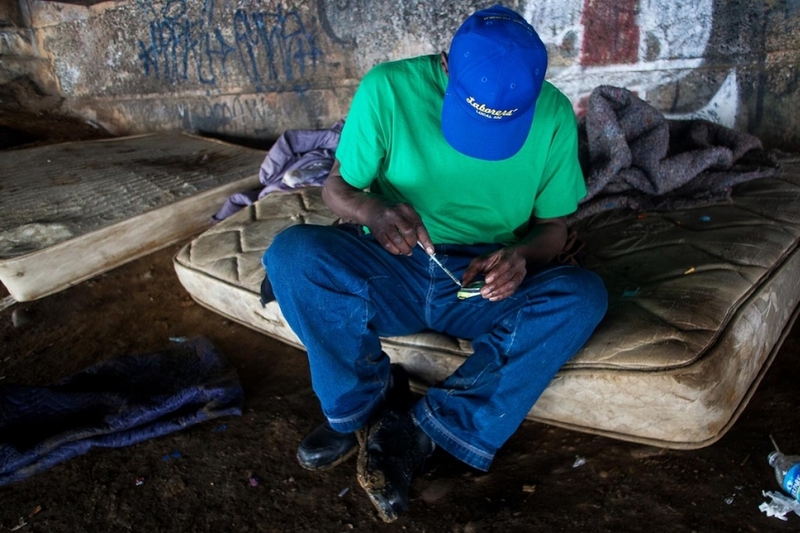 The city of Philadelphia moved to clear out two notorious underpass encampments of heroin users in the rundown Kensington district this week after a monthlong effort by city agencies and outreach groups to convince residents to seek treatment or go to shelters. Residents have long complained that homelessness coupled with open drug use amounts to a serious public health hazard in the densely populated residential neighborhood. They welcomed the evictions on Wednesday and the removal of tents, mattresses and detritus. The pilot program focused on connecting people to social services so they could lead more stable lives. For four weeks, social workers and police flocked to the bridges and offered help. The night before the move, some groups held prayer vigils; others, protesting the city’s action, pointed to posters that read “Eviction = Death”.